Recommendation: Excellent buy for an OUTSTANDING Italian white wine. Vintage: Firsts tasting: 2010; Second tasting: 2014. Purchased From: First tasting: The Caviste Wine Shop, Winston-Salem, North Carolina; Second tasting: Woodland Hills Wine Company, Woodland Hills, California. Paired With: First tasting: Smoked salmon quiche; Second tasting: Greek style salad topped with chicken. He said: First tasting: Served chilled. Light wheat straw color. Slight green apple and peach aroma with hints of floral and citrus. Creamy, soft, apple taste and a nice crisp, bone dry, mineral finish. Light and easy drinking and very well paired with the smoked salmon. 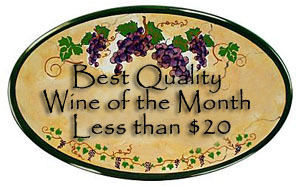 It has an OUTSTANDING finish with lots of mineral taste. 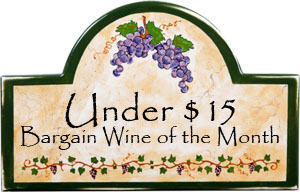 At a price of $14, it’s under our $15 maximum for a “Bargain” wine, so I’m rating this a Quality wine at a Bargain price. Even if your only a red wine drinker, everyone should try a Gavi white, at least once!!! Second tasting: Chilled before drinking. Light wheat straw color. Very light ripe apple and floral aroma. Creamy, lots of smooth apple flavors and a long delicious mineral finish. 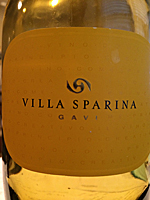 Great Gavi, but the 2010 had more aromas and the 2014 had practically zero bouquet. Still it was very good with the mild flavors of the dinner, but the bouquet in the 2010 really made a big difference. I would still recommend it (this is our 2nd bottle of 2014 from the Woodland Hills Wine Shop)…Gavi is good, but with the aromas it’s OUTSTANDING!!! She said: Second tasting: Light yellow green color, clear, with dubious legs. The aroma was mild with hints of green apple that developed more on the palate. The body was very light and refreshing with a smooth mouth feel and the moderately long finish that carried hints of mineral. The wine was very easy drinking and was delicious with the dinner, but was also good sipping alone after dinner. Definitely a buy again wine and a bargain at under $15.